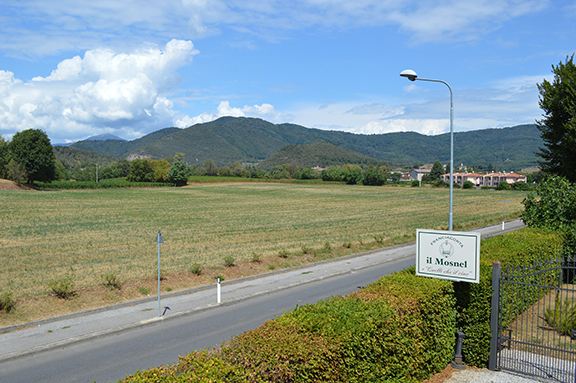 My “week in Franciacorta” began today with a spectacular tasting and winery tour with Lucia and Giulio Barzanò of Il Mosnel, a legacy winery and a flagship estate for the appellation. Perhaps because I’m traveling with a good friend who happens to be a well known wine writer, Lucia and Giulio were particularly generous in the wines they opened, even reaching deep into their cellars for a 2004 Franciacorta Riserva Q[uestione] d[i] E[tichetta]. Even though this wine was disgorged more than four years ago, it was fresh and lithe in the glass. 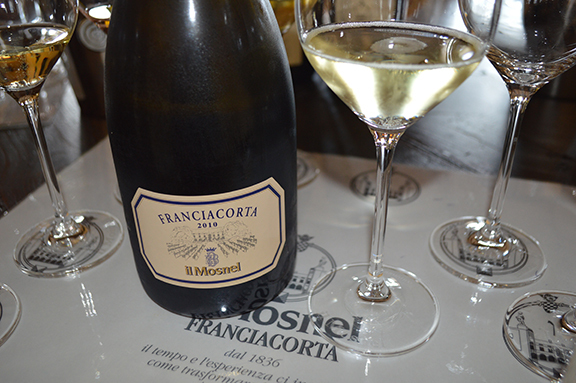 Very impressive and a great example of Franciacorta’s longevity and character. My personal favorites — in a flight of fantastic wines — were the NV Pas Dosé and the 2010 EBB, named after their mother Emanuela Barzanò Barboglio (what a wine!). 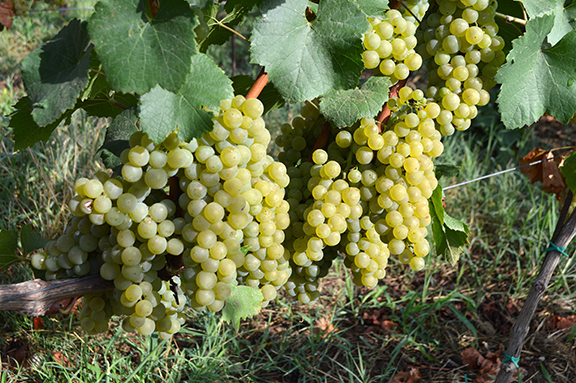 Harvest came early this year in Franciacorta and most have picked their fruit. But there are still a lot of bunches in the vineyards, like these ones (below) in a beautiful parcel of Chardonnay in Passirano not far from Il Mosnel winery. In the cellar, you can already smell that unique aroma of newly made wine. Check out the Chardonnay fermenting in cask in the video below. Giulio told me that the barrel has a little too much wine in it and that’s why it’s “boiling over.” No biggie, he said. Super cool to tour and taste with him and Lucia today.